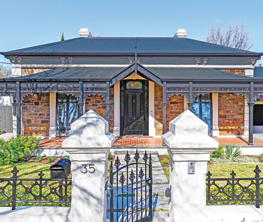 Premium SAHOMES is your weekly look at South Australia’s most spectacular homes for sale and the people who are selling and buying. 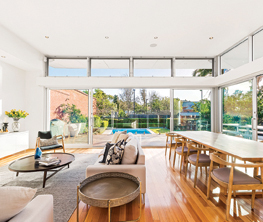 Today, a stunning Balhannah property and an Adelaide building designer’s home hit the market, a musical theatre star buys here, and a Beulah Park landmark is set for its first open. After apartment living in Hong Kong, Daniel and Samantha Humphrey were looking for plenty of space when they relocated to South Australia for work and lifestyle opportunities. They found it at Observation Hill, Balhannah, where they built their luxurious home on a 146-acre property. The 4-5 bedroom home is now on the market and the couple, who has two daughters, know they have created something spectacular that another family can enjoy. Daniel, an equine vet, said the site appealed for a number of reasons. “There’s not many places you can have a farm so close to a capital city,” he says. 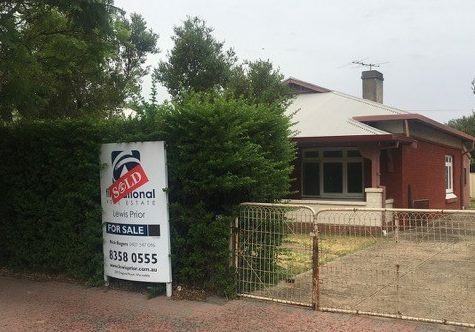 “We were looking for space and the big appeal when we found this block was the close proximity to Adelaide, and it’s only 15 minutes down to Burnside, plus the lifestyle. The couple, originally from the UK, used Aspex Designs and GE Hughes Construction to bring their vision to life. Carefully designed to be protected from the elements but make the most of the views, the home features expansive indoor/outdoor living space looking onto the solar-heated pool. There are three separate living spaces, three bathrooms, a study/retreat and French Oblica hanging fireplace. There are also five dams, an irrigation licence, fully landscaped garden by Garden Depot and two rainwater tanks providing 100,000 litres of storage. The family moved into the gorgeous home in 2015 and have loved the space, the lifestyle and the wildlife on their doorstep including kangaroos and deer. However, they are now looking to build again. “It’s been a journey and we learnt a lot through the project and we are keen to go for another one, probably close by in the Hills or the eastern suburbs,” Daniel says. 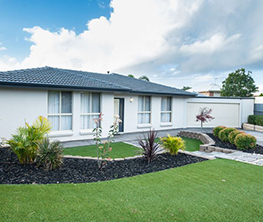 The home is inspection by private appointment this Sunday with Harcourts Williams Luxury Property. VIEW A GALLERY OF IMAGES HERE. Renowned Adelaide architect Rudi Ahamer and wife Kathy have lived in their Kingswood home for just a year but have decided to put it on the market. 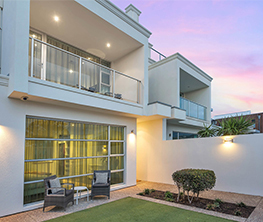 The reason behind the move is the pull of family – with the arrival of a new grandchild just weeks away they want to be closer to family by the beach. The couple, who own Design Integrity, made the most of their industry know-how and were hands-on with the design and interiors of the luxurious home, which Rudi describes as a sanctuary. One of the highlights of the three-bedroom home is the central courtyard that provides light to the rest of the residence and can be opened up to expand the sense of space. The back garden includes a 2.5-metre hedge and plenty of mature plantings – important features for Rudi and Kathy. The home is being sold through Ouwens Casserly Real Estate and is open for inspection this weekend. She’s a musical theatre star who’s been living in Sydney for the past five years, but Zoe Komazec is an Adelaide girl at heart and has just bought her first home here in SA. Zoe is currently back in town to perform in MAMMA MIA! The Musical and she is loving being able to spend time in her new abode, a 1926 bungalow in Colonel Light Gardens, which she bought with fiancé Matthew Geronimi. They have begun some minor renovations together and will tackle a larger reno later. 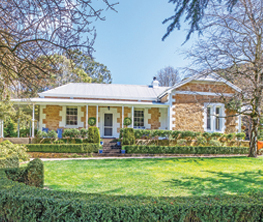 “I love it because it has beautiful three-metre ceilings, Baltic pine timber floorboards and has a great opportunity for renovation,” Zoe says. “Matt and I wanted to renovate a house for a long time and this had great potential for a new bathroom, kitchen and potential extension down the track. While many in the musical theatre business feel compelled to base themselves in the eastern states or overseas, Zoe is determined to make it all work from her hometown. She and Matthew run their own talent school, The Ignyte Summer School, here in January each year. Zoe, who began performing at age two at her mother’s studio in Adelaide, Barbara Jayne Dance Centre, has also starred in Cats and The Addams Family Musical. She is in the ensemble for MAMMA MIA! The Musical as well as understudy for several roles. And she says Abba has been on high rotation at her new home. MAMMA MIA! The Musical starts on October 9 at Adelaide Festival Centre. Zoe’s new home in Colonel Light Gardens. An iconic building in Beulah Park that’s been converted into a contemporary home is on the market – and it comes complete with a musical history. The home at 1 Mathilda Street, was purpose built as a piano warehouse. It then became the Academy for Music and Dance, before being converted into a home in later years. Current owner Dianne Strauss has done extensive research on the property which she’s owned since 2015. “It was built in the 1800s and the owners were the first importers of Stuttgart pianos,” she says. “They had two big floors with four-metre ceilings and an external staircase, and they had a pulley system they used to lower the pianos down. Dianne consulted the Burnside Historic Society to learn more about her unique home, which is included on a tour called Historic Walks of Beulah Park. Dianne says the home has been a labour of love for her, and she has invested time and money on several structural features as well as cosmetic improvements. “Things like securing the foundations by changing the way the water flows, rewiring, lots of repairs and maintenance and spending money on the things you can’t see,” she says. Film crews have also shown interest in the unique building over the years, including a crew from the US. “You can’t help but notice it because it’s so tall,” Dianne says. Having retired from her work in international recruitment, Dianne says she would love to stay living in the two-storey home but health issues with arthritis prevent it. 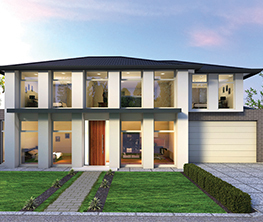 The house will have its first open this Saturday through Ouwens Casserly Real Estate. CORRECTION: An earlier version of this story erroneously identified Rudi Ahamer as an architect. He is a building designer.